Saudi Arabia Basic Industries Corporation (SABIC) will supply over 50,000 tons urea during next week under the credit facility provided by the Saudi Fund for Development (SFD). Source told Business Recorder on Friday that last two shipments under SABIC import from Saudi Arabia are on their way to Pakistan and with arrival of these consignments urea import against SFD credit facility will be over. The first shipment under this credit facility is arriving today (Saturday). A ship namely MV Koronos Island (V-2) carrying 26,000 tons urea will reach Pakistan on December 7, 2013. The ship has already sailed from Al-Jubail Saudi Arabia and will offload the commodity at Gwadar Port. Another consignment of 25,000 tons urea will arrive on December 9, 2013 at the same port. 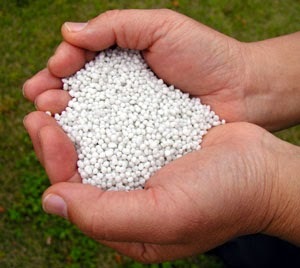 The domestic market is witnessing urea shortage for last few years followed by gas curtailment to the fertiliser sector and despite having a production capacity of over 6.5 million tons the domestic fertiliser plants are unable to produce sufficient urea for domestic consumption. Therefore, the federal government has decided to import urea from international market as well as Saudi Arabia under the credit facility. A commercial agreement was signed between Trading Corporation of Pakistan (TCP) and SABIC in December last year for supply of urea under $100 million credit facility provided by SFD. First shipment under SABIC credit facility landed here in February this year and SABIC assured to supply complete quantity by end-December 2013. The SABIC as per its agreement has dispatched the remaining quantity as per schedule. The last consignment under SABIC import landed in November this year. So far SABIC has supplied 214,401 tons of urea and with arrival of these two shipments, the overall import under $100 million credit facility will reach 265,401 tons. Sources said the quantity against the credit facility depends on the international price. If the urea prices will be on higher side Pakistan will get less quantity while in case of lower prices, the country will have more supply from SABIC. Talking about the price, sources said that urea price is determined as per the specific and already defined price formula between TCP and SABIC and on every shipment average urea price of leading markets is applicable.